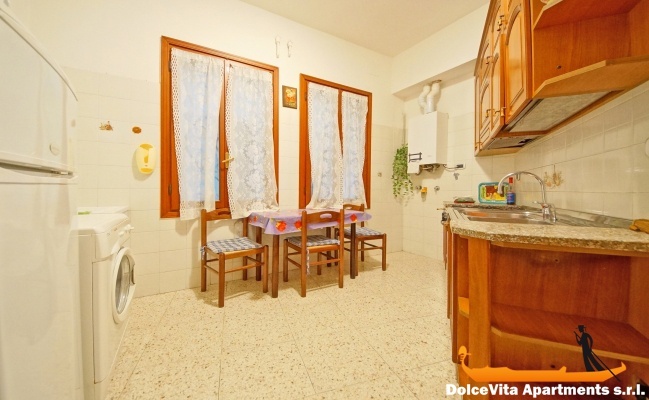 Apartment N. 124: It can accommodate up to 14 people, it is rented from 200 € per Night (not per person). 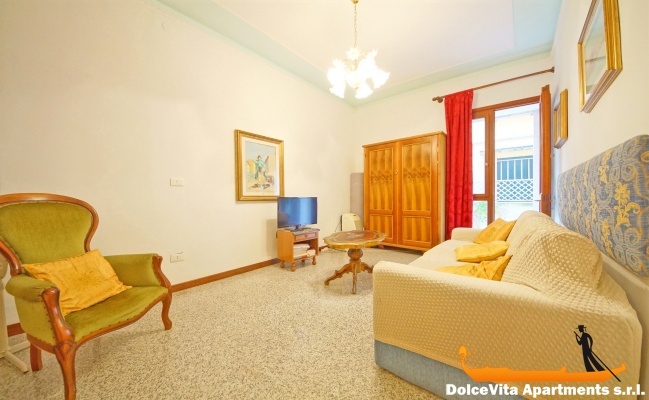 This structure consists of 2 apartments which are located in the same building, on the same floor; it is large and welcoming and there is also a private courtyard. 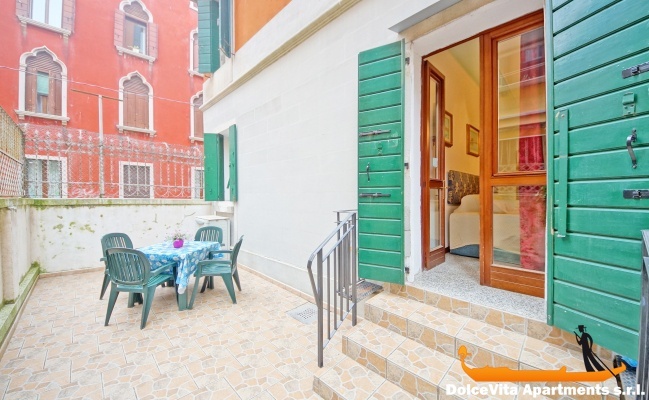 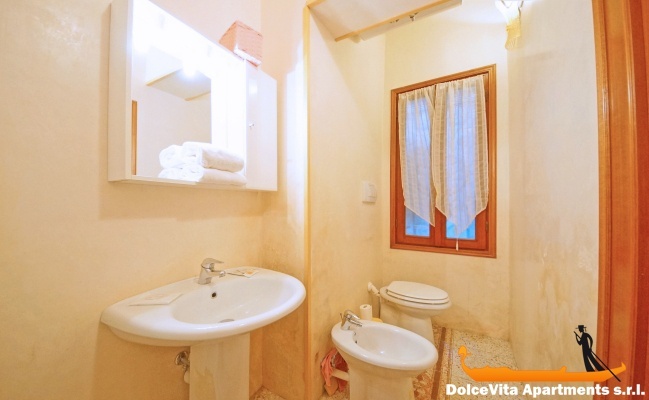 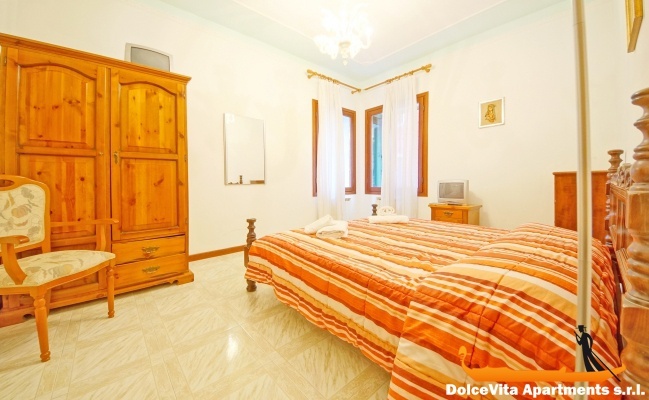 Located in the center of Venice, in the San Polo area it can accommodate up to 14 people. 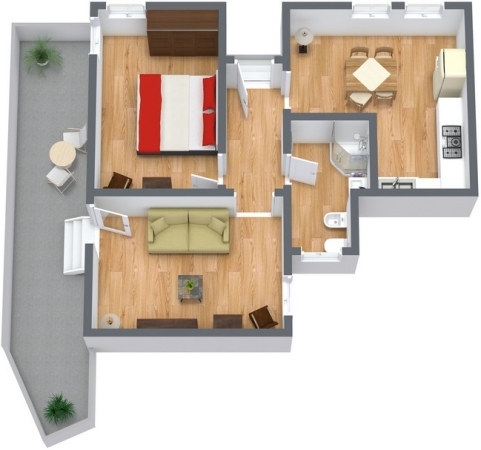 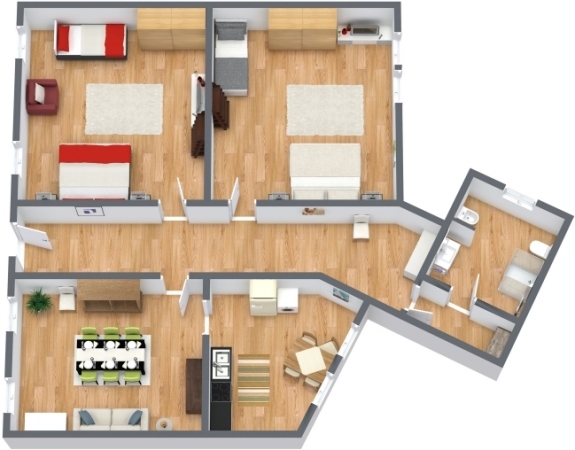 Overall, there are three bedrooms, two kitchens and two bathrooms with shower. 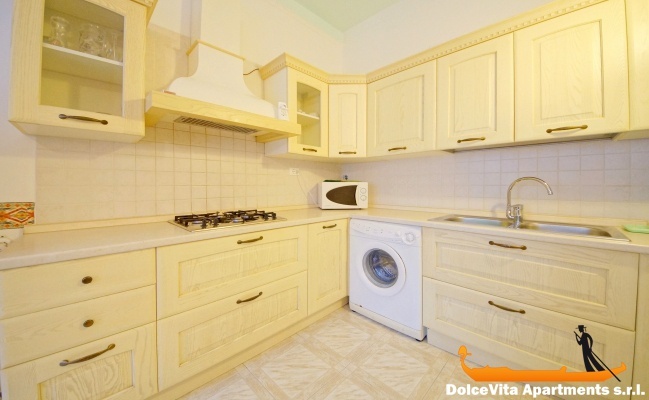 Among the conveniences there are: air conditioning, washing machine and microwave. 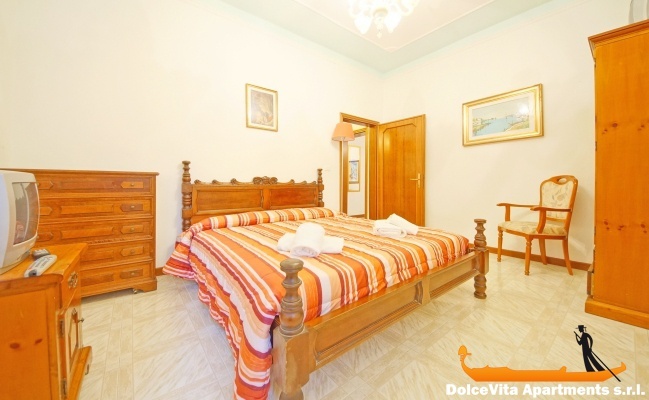 The building is strategically located to visit the main attractions of Venice. 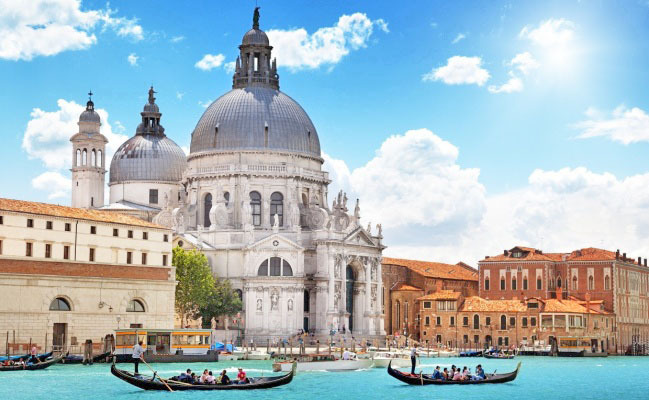 Indeed, it is a few steps from the beautiful Frari church where are preserved many works of art, including two paintings of Titian. 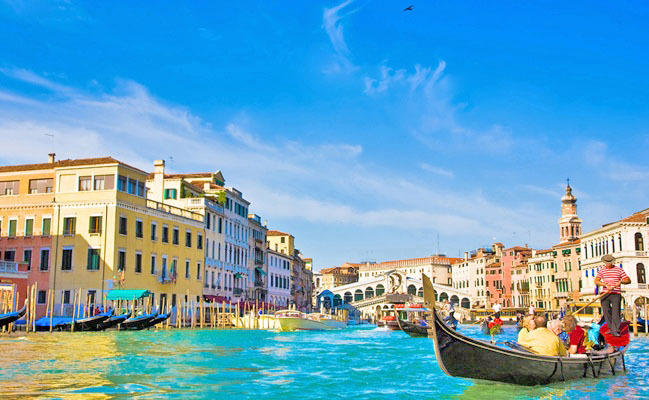 The Rialto bridge is 10 minutes walk away and in just 5 minutes you can reach St. Lucia railway station. 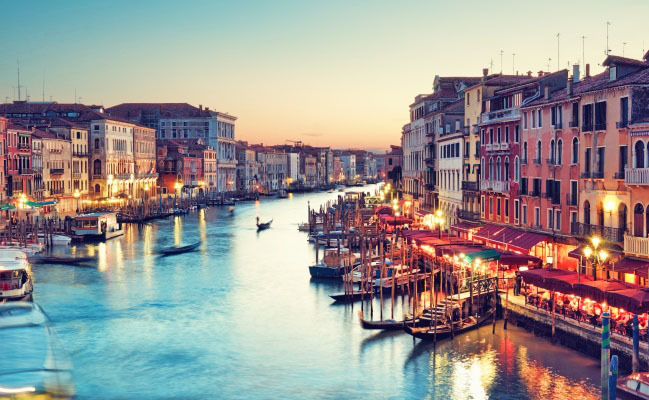 Finally, to get to other areas of the lagoon, the nearest vaporetto stop is San Toma, from where you can reach any part of Venice or neighboring islands such as Murano and Burano.